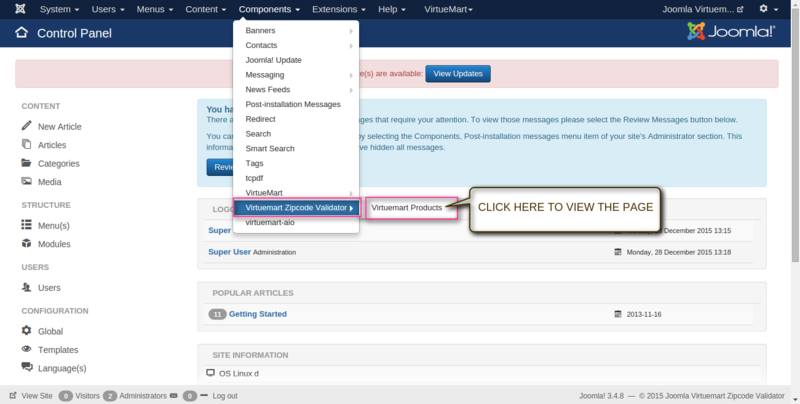 Joomla Virtuemart Zipcode Validator This magnificent extension will enable availability of product via zipcode. With the support of this add-on customers can easily find out whether the product they want to order can be shipped to their desired postal code. The functionality to validate zipcodes on basis of fixed payment method i.e. Cash On Delivery(COD) is also being aimed to increase the urge of purchasing. Just enter the zipcode and check the availability of product to create a seamless ordering process and provide accurate information without any additional effort to prevent the customers from delivery issues. This helps to increase the customer satisfaction which results in decrease of cart abandonment rate of the site. This extension gives admin the freedom to make use of uploading/downloading of CSV file containing product id, zipcode of shipping address and zipcode of COD. The feature of validation is applicable on basis of the zipcode of shipping address provided or updated at the time order generation. The feature to pick zipcode from default billing/shipping address of customer and real time zipcode verification at product page is being provided. The feature of Cash on delivery(COD) as a specific payment method is being targeted and the verification is done on basis of zipcode. 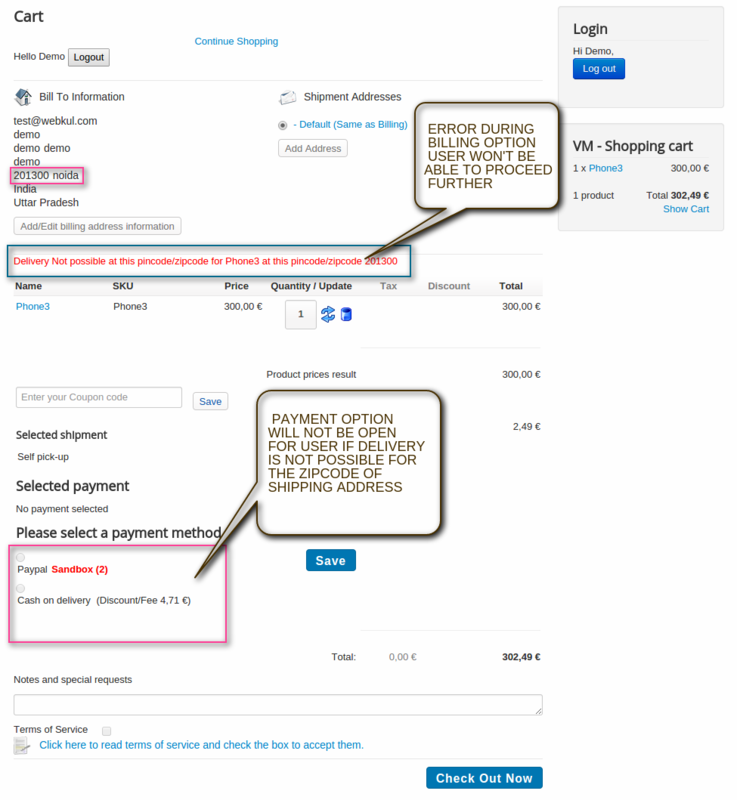 Customer will be able to use the check availability option in the product page of store. trouble in downloading the module. Go to Extension Manager, upload and install the zip file as shown in the snapshot. 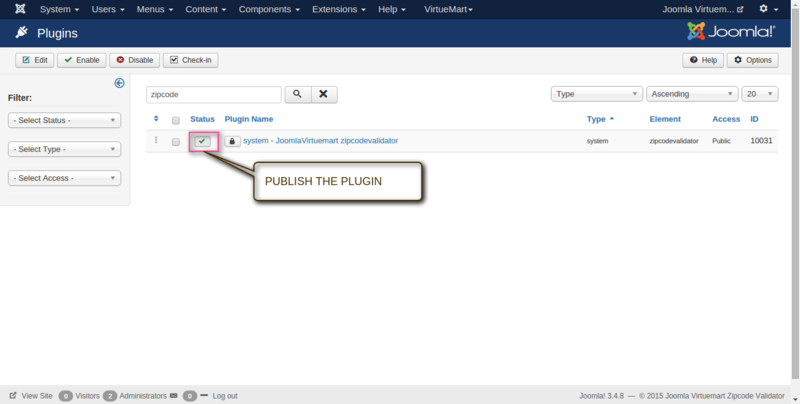 Go to plugin manager and enable the plugin. 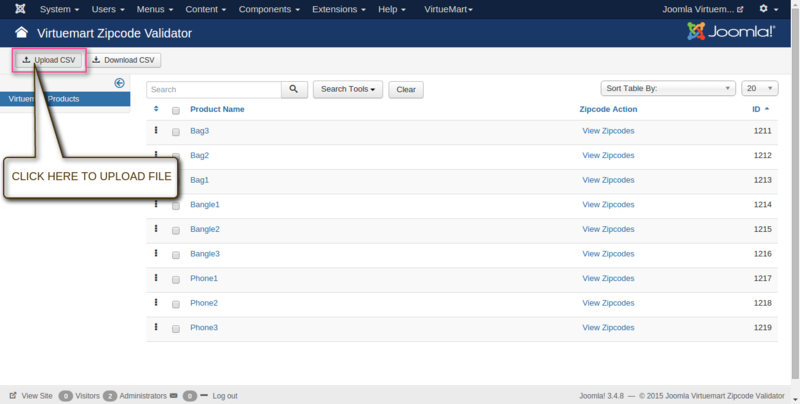 Click on “Joomla Virtuemart Zipcode Validator” for global configuration. 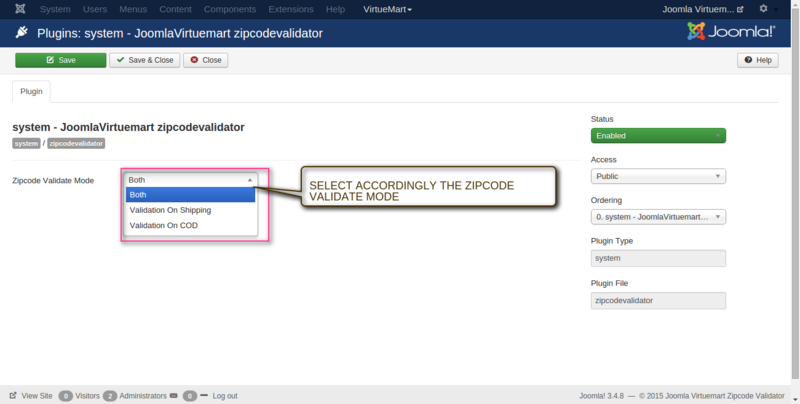 Select the Zipcode Validator Mode which is shown below in snapshot. Validation based on shipping address zipcode. 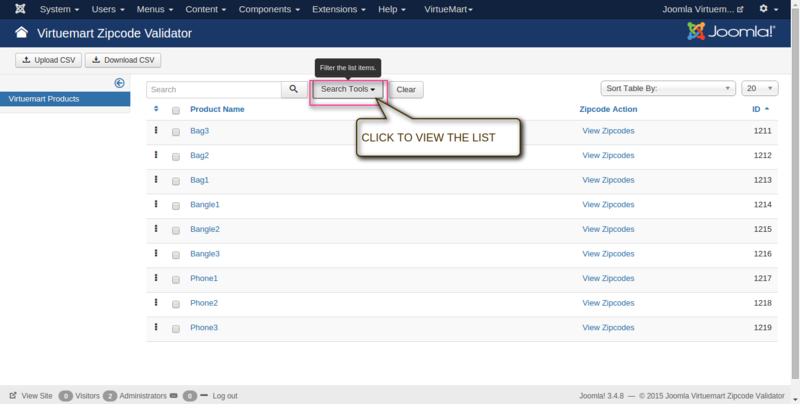 Here all the Virtuemart products will automatically get listed. 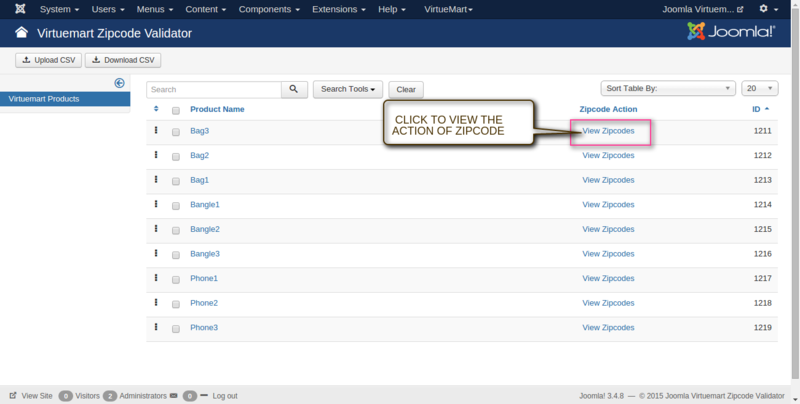 Click on “Upload CSV” to upload the file having product id, zipcode ship and zipcode COD as parameters. 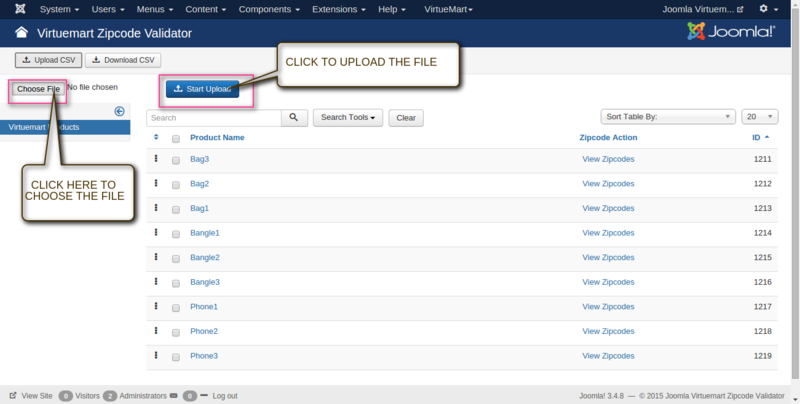 Click on “Choose File” to select the file the CSV file and click on “Start Upload” to upload the file. Set the zipcode for shipping availability at left side of the box and for COD at right side of the box as shown below in the snapshot. 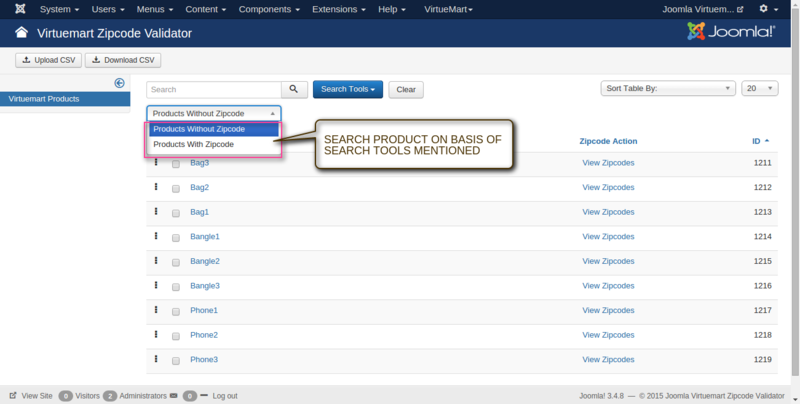 Click on “Search Tools” to view the search filter option as below in the snapshot. Go to product page and check the availability of product as mentioned below in snapshot. If the product is available for desired Zipcode, user get the “Add to Cart” option. Check the availability of product as shown below in snapshot. 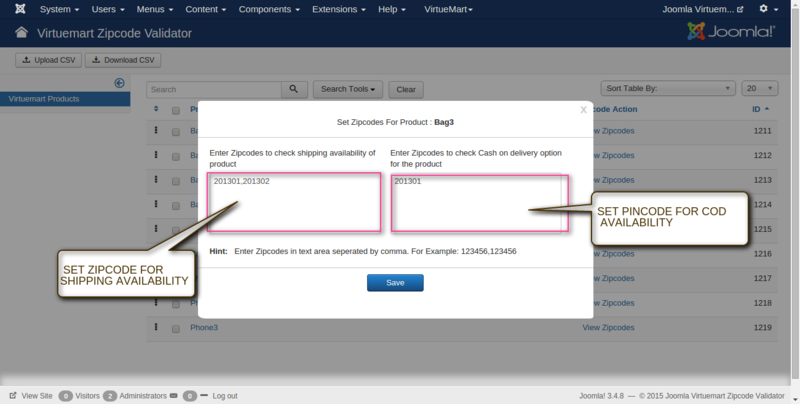 If the product is unavailable for desired Zipcode, user does not get the “Add to Cart” option. If there is a non-availability of product for the registered shipping address zipcode user won’t be able to proceed further for payment option. A error message will be generated as mentioned below. Thanks for the information you have shared.